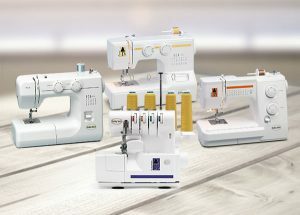 AAA Vacuum & Sewing Center carries a wide range of sewing machines from the basic models to embroidery machines, quilting machines, sergers and so much more. Our goal is to help our customers find the machines that will suit their needs. When you purchase a sewing machine from us, we not only provide service but we give you FREE classes so you may learn how to use your machine for as long as you own it! Handi Quilter understands what quilters need, a reliable, low-maintenance quilting machine that not only makes it easy for you to finish more quilts but also looks great in your studio. Whether you quilt for fun, charity, or for-profit, Handi Quilter’s innovative technology and quality engineering provide the functionality that quilters demand along with the smoothest stitch in the industry.